I hope you are having a great day!!! I just wanted to show your the card I made a few days ago. I shared on Instagram this morning but I didn't have the time to share it anywhere else yet!! 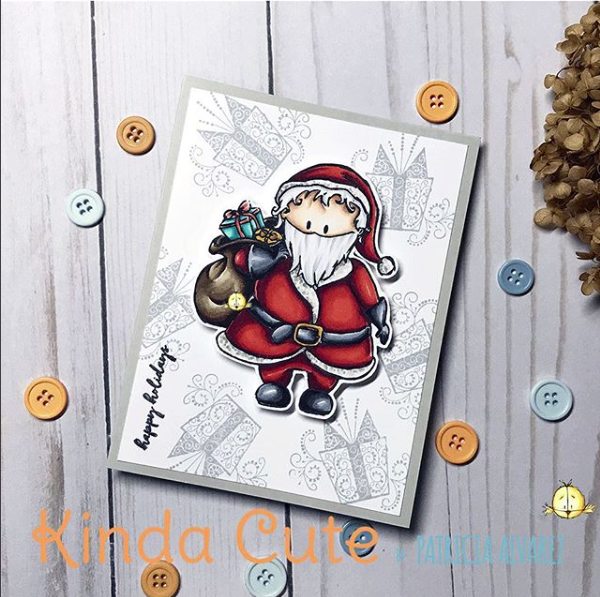 I am using one of my clear stamps called Santa Claus with presents. I stamped it with memento black ink and then I colored it with Copic markers. I have the list of colors somewhere...I just have to find it ;). The background is made with a rubber stamp from Recollections and the sentiment is from Fiskars. I hope you like the card and remember, I will have a new challenge starting in my Facebook group in December!!! So wonderful! Awesome colouring too!